Our voices are almost back at 100%, after having lost them from talking with so many great people at Blend. If we didn’t get a chance to meet and talk with you, it’s only for lack of time which seemed to fly by during our short stay in Vancouver. 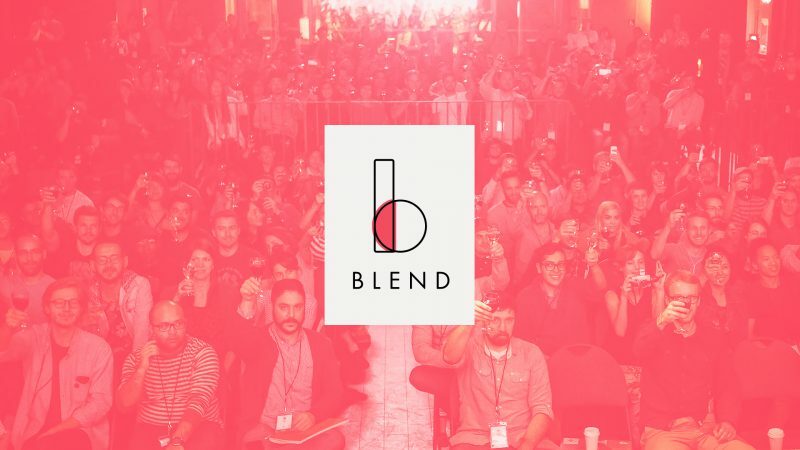 Thanks again to the entire Blend team for organizing everything and inviting us to speak. All the speakers were brilliant and we were happy to be able to enjoy the fest in it’s totality ourselves. Also, thanks to all the attendees that responded so positively to our talk. In our brief time on stage we thought we ought try to discuss a topic that can be at best misunderstood and at worst extremely uncomfortable, and something that is very rarely addressed. Seeing as our position on both sides of visuals and music gives us a unique perspective, we thought copyright infringement and artists taking from artists a conversation worth tackling. The risk seemed to pay off. Thank you to all the people that approached us over the course of Blend and either shared their own stories or straight up told us they might change a few things in how they work because of our talk, specifically with music and reels. Be brave! We didn’t make it to the second night’s official after-venue, since the space was at capacity when we arrived. So, if we didn’t get to tell you how fantastic it was to meet you in person, we can blame it on the Canada’s sensible fire code. Safety first! We’ll see you all at the next one. If you make it to Portland, shoot us an email. Always happy to meet up. 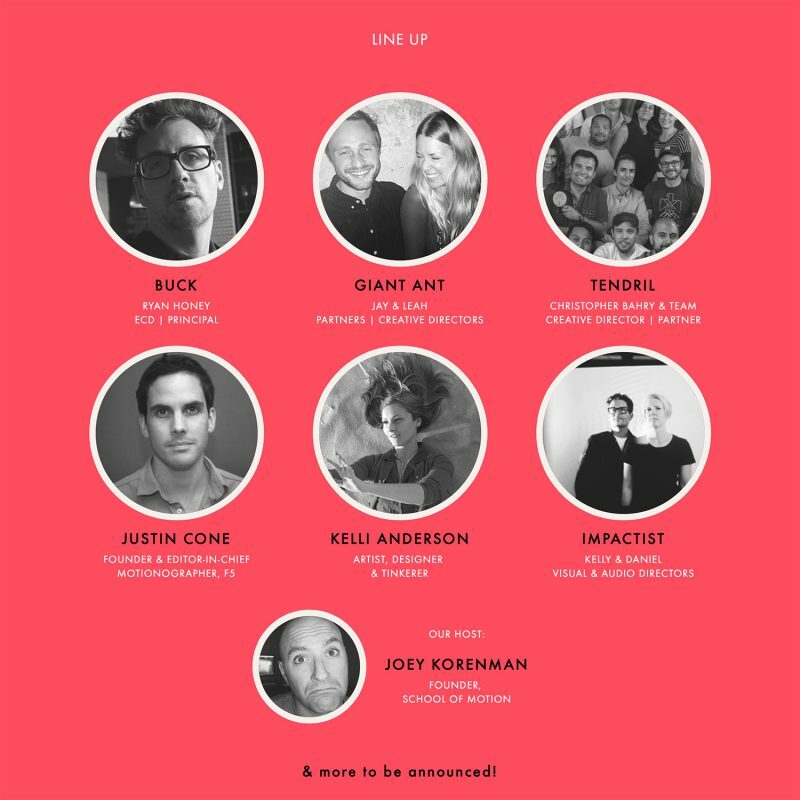 Join us in Vancouver, BC on October 16 & 17, for Blend, a new design and animation conference brought to you by Jorge R. Canedo Estrada and Wine after Coffee. “Parallelostory” will be screening at the Providence Children’s Film Festival as part of the programs Intro to Experimental Films and Tape Art and Your Shorts are Showin’ screening on February 20, 2011. “Parallelostory” will be part of Love is a Many Splintered Thing, a film screening presented by the Aurora Picture Show on February 13, 2011, in Houston, Texas. Details available here. 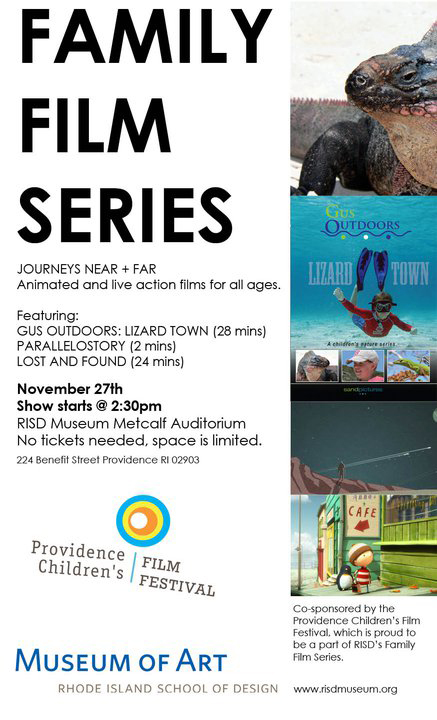 “Parallelostory” will be part of Journey’s Near + Far, this month’s Family Film Series @ The RISD Museum presented by The Rhode Island School of Design Museum of Art + Providence Children’s Film Festival, on November 27, 2010, at the RISD Museum Metcalf Auditorium.